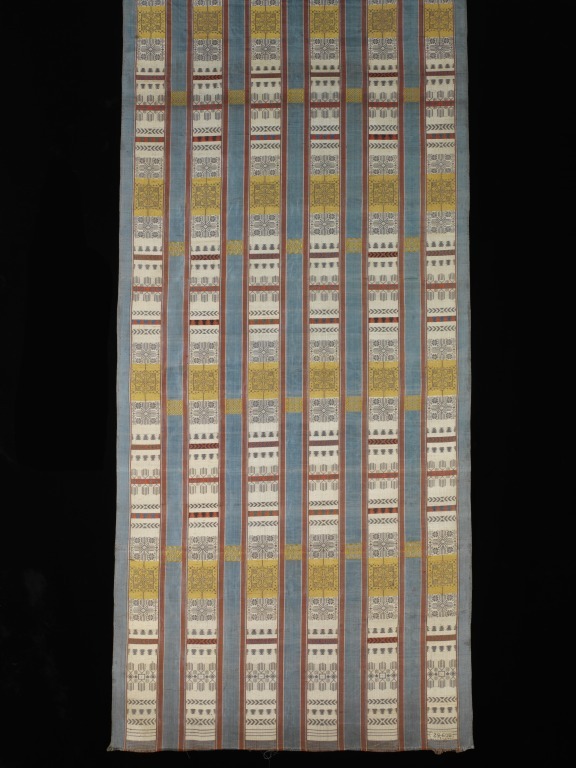 A Tunisian sash like this one would have been woven in the workshop of a mu’allim. The mu’allim would have been in charge of a workshop that employed a number of male workers and apprentices; he would have overseen production and controlled the overall design of the textiles. The sash is made of silk which was widely used in Tunisian workshops but would have been imported in its raw form and then carded and spun by women before being dyed by specialist craftsmen. One of the recurring motifs that can be seen on this sash is hands. Depictions of hands and other designs containing five elements were believed to counteract the effects of the ‘evil eye’. The idea of the ‘evil eye’ is common across the Mediterranean and centres on the idea that a jealous look can bring bad luck, ill health or even death. 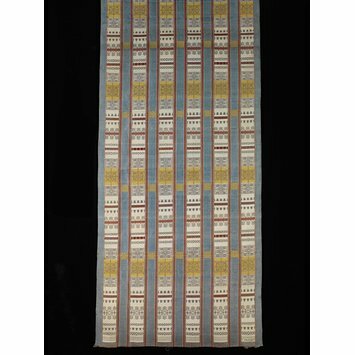 This sash was one of seventeen textiles purchased by the V&A from the Tunis stand at the Great Exhibition of 1851, and is therefore one of the first textiles from Africa to have been acquired by the V&A. Woven silk sash. Blue and white striped silk. 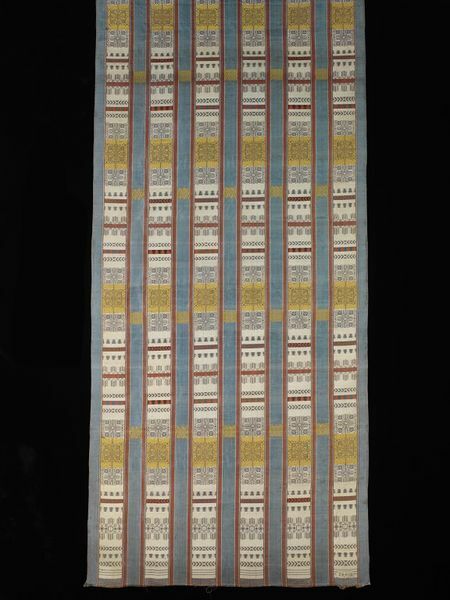 One of 17 textiles purchased by the V&A from the Tunis Stand at the Great Exhibition of 1851.